My personal low carb journey and process of weight loss (removal of weight) and increase of happiness.... finally ! Welcome to my personal journey. Fit - I want to be a smaller size than I am now, scale number being less, healthy choices for food options, conscious, controlled, regular eating schedule. Beginning in July, I started water jogging that broke a long trend of being at my lowest active state...(ever). I am not sure how I got here, other than one day turned into 2, turned into a week, and so on. I was either burned out, worn out, pulled in all directions like every other mother, slightly depressed, or actually just ok. Just Chillin'... even though not necessarily happy with the outcome, not willing to put in the time, effort or sweat to make it change. A mom friend that is a Tri Athlete trained with me this summer and we met up to jog in chest deep water up and down the lane lap for the entire hour our kids were in swim team practice. Previously in life, I have always been active, walking, jogging, dancing, aerobics of all forms, lifting, biking, skiing until the recent lull in activity due to mid life *sigh*...whatever it is. Gotta get my Groove back! After reading and re reading a book from years before, I am determined to create my own "cleanse" by eliminating white, sugary grain carbs and focusing on the increase of protein. After my first baby, I was successful with an Adkins diet approach and blown away with the ease of eliminating the carbs and sugary demons that seem to have hooks in me. As we age, lessening the intake of carbs and increasing the intake of protein is a good idea, so this seems like a positive way to see the scale go down, my mood and smile curve up and the lbs melt away. Like 50 or so lbs. SO.... August 8, I began the Induction phase of the Adkins diet. Focused-nail biting- stay within the 20-30 recommend gms of net carbs for best results-obsessed-Day One. I opted to purchase Ketosis strips to verify, and self assure, I was in Ketosis, or the burning of fat as fuel -vs- carbs as fuel state. Upon waking the next day SUCCESS! I was "in the pink" and therefore in ketosis. A few lbs lost the first overnight makes me motivated to continue forward. We end up traveling to a family lake place for the weekend and with slight planning of homemade cole slaw, grilled meat items, roasted almonds, breakfast food options and a yummy three chees dip, I was able to maintain the ketosis throughout the weekend quite easily!!! Even had some diet snapple tea and vodka ( 0 carbs) and still remained in the pink. 3 days later at home, I continued to see the scale number go down. I am monitoring my food intake and journaling on LOSE IT, an app on my phone that I really love. Once you enter a food, it becomes a MY FOOD regular and you can find things easily. You can even scan bar codes to determine the nutritional values which is great and very helpful. Induction Phase is the strictest phase of this "diet" and you are supposes to limit the amount of time in this phase. I plan to be on Phase one for a month... through September 8th, and then move to Phase 2 OWL... On going weight Loss. But for now, 20 -30 net carbs. I actually have been able to continue to lose weight on 35-45 carbs or so. I plan to continue to focus on tweaking even more to fine tune in Induction, knowing as I add carbs back in, I can go up to 35-45 and still be doing well. Join me on this journey... not a perfect path, but hopefully a successful destination that has been a long time coming. Check out the TAB with How to, Books and Helpful links! 2018... the year of the INSTA POT! Easy LOW CARB LIVING tools of the trade! A new year. New Beginnings and Resolutions. Promises and goals... The most important thing to remember is baby steps will get you there. Don't make big broad sweep statements of #lbs lost by certain date. Instead, Set yourself up for success and join the LOW CARB lifestyle. Make up your mind, and make the choices first thing in the AM to feed yourself, "breaking the fast" with protein and fuel for the day. I use a premixed chocolate protein shake. EAS Advantage or PureProtein. 25g protein and less than net 2 carbs. You KNOW I then have my coffee. Black coffee, Pike Roast, Heavy Whipping Cream and Splenda. YUM. I have drawer with snacks of nuts, a protein bar, in my office I need something mid morning. Choose a big bowl of veggies, salad and dressings, add the avocado and cheeses! Meat and cheese roll too. Have your dinners prepped and ready to go so there is no breaking point once you return home after a long day. I have a fun new tool that helps with food prep. INSTAPOT. You can cook a frozen solid slab of beef with one cup of water to delicious tenderness in one hour. Between that, my crock pot, and steamed bags of veggies, dinner is ready for reheat as soon as we hit the door. Today was the first day back to school, back to work. I am full throttle back "in the pink" this afternoon. The Holidays have a way of creeping weight back on through parties, cookies and "little bites of this and that." I am showing myself my strength by maintaining power over time. (basic physics)! If I do the right things, when I wake up and it's breakfast, then get to lunch, make the right choices until dinner, have my items ready to go, before you know it, I am onto the next day. That adds up and over time, there is weight loss. HOORAY! It is a new year and therefore time to create a new standard, focus on new healthy habits, chant new mantra's. Making the task of staying on plan a little smaller, by having the food I need, prepping ahead of time, and making the choices a non issue, is very helpful for me. When I am " IN THE PINK", I am burning fat for fuel. I feel better. I feel happy. I am losing or maintaining weight. How do you have meals ready and stay on plan? What is your current positive Mantra? Are you up to your eyeballs in New Year's Resolutions? Are you finding success or pressure from your new goals? I quit making Resolutions several years ago. I was only letting my self down, not following through after a few days or weeks and then back to the same sadness of wondering why I couldn't get it together. It was only taking my self esteem lower and lower that I could not hold myself accountable. I stopped that cycle a few years ago. For me, some of the biggest mental changes that ultimately brought me success in my #75 weight loss was the little steps. Focusing on the little steps that will deliver me to the "finish line". I quit thinking BIG PICTURE. No more this many #'s in this many days or by this deadline of event or vacation. Aiming for under 20 net carbs and focus on protein at every meal. Taking those little steps, 3 x a day... consistently, maintaining ketosis or very low net carb, over time, resulted in a Ssssllllllooooowwwww but total transformation. Taking the deadline and unrealistic expectations out of the mix, ended up being the freedom needed to follow through on my promise to myself, motivate me to continue, see the results I desperately wanted. It DID NOT happen in 6 weeks, 12 weeks, even the first year, but I WAS getting results, felt I could maintain the process and was actually enjoying the food and feeling satisfied with all the good, nutritious food options. As I start 2017, and after by 38th year tearing it up on the ski slopes for 5-6 hours a day, I am always motivated to keep moving upon my return. With the same philosophy of "baby steps", I am scheduling personal time for myself to kill two birds with one stone. I am claiming an hour of ME time, and I am finding SOMETHING to do physically to fill that hour. Since returning, I have done a 45 min spin class and weight routine, a Pilates reformer session, walk/ jog on the treddie, a full blown weight workout, and a combo leg/ hip reformer and upper body weight routine. It feels so good to both be making my body stronger, making it toner and keeping the promise to myself. Sunday ended up not being able to grab that hour. Life got in the way. It is OK. Not all lost. Giving myself a day of rest, getting over the mess up, like falling "off program" and moving forward in the march. Today, I am going to claim my hour. Work my body, breathe and accept if I continue with these baby steps, I will be in better shape, better condition and love myself more for taking care of myself and promise. Ill be ready for a Spring Break trip in a swim suit! Focusing on completing the JOURNEY not the end DESTINATION! 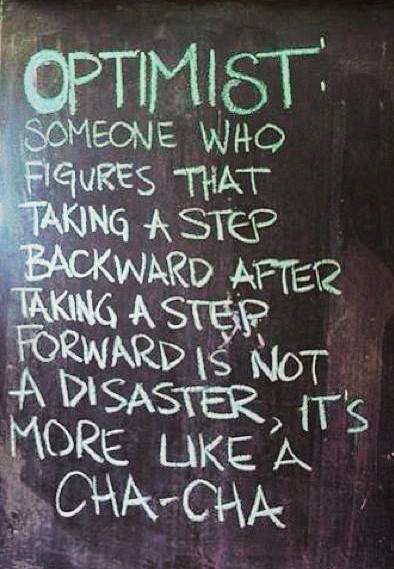 How will you put one foot in front of the other, march yourself forward? ... its not too late to start today. 33 months.... as in 2 and 3/4 years! By living low carb, I feel full and satisfied. Low carb living literally made me FEEL better within a few days. It just was NOT that hard once I made up my mind I was determined to change and lose weight. I look forward to my meals. Especially my morning protein shakes! Things you remember being THE BEST, really do not taste as good as your mind remembers them. I can "cheat" a little here and there and still not be affected. No more crazy 5-7# swings on the scale. I really am happier and able to deal with a "whole lotta life" better being in control of myself. I am still committed to my Low Carb living. After spring break this year, I need to pull back the reins, get back on ketosis and finalize my goal weight, to prove to myself I CAN do it. Working through my self imposed hurdles, making time to take care of myself, pack my own workout bag and make sure it gets in the car, make sure I get that workout IN, continue to make food and menu's to fill out the week and remain "on plan". Sometimes music speaks deep inside your soul. REM - "Living well is the best Revenge" hit me between the eyes. Feeling good about being in your own skin, having a little spring to your step, putting your best self out there both lifts your spirits and makes one "walk tall". As a mom, like so many others, it is natural instinct to take care of others and we don't take the time to put ourselves at the "Top of the List". By choosing to even put yourself ON the list, if not at the TOP, you actually are doing an even better job of taking care of everyone else. Especially as a mom of a little girl, it is so important to promote positive body image, physical fitness and strength through athleticism. Seeing mommy live in a positive authentic way, rather than hearing self loathing, witnessing constant dieting through self denial, or overall unhappiness with self, has to help a little person achieve similar approval and confidence. You are teaching your children self respect. You are teaching your kiddos to eat clean through low carb living and fuel their bodies with nutritious and delicious food rather than mindless, carb loaded, sugar laden processed junk and leading by example. Do as I say, not as I do won't work. Especially when there is a lot going on in one's life, taking care of YOU first, will help everything else fall into line and proper perspective. Choosing to eat clean through Low Carb Living and make the best choices for fueling yourself, taking the time to dress nicely, do your hair, putting your best self forward, getting some exercise in multiple days a week, creates good vibes and positive energy within. At what point does a habit become a new reality and other deep thoughts while living low carb ! At what point does a habit become a new reality? A new way of living? I am still working through Gretchen Rubin's Better than Before that does an in-depth analysis of this internal question. I have been Low carb living, living "in the pink" and maintaining a -70lb weight loss for 25 months now. After YEARS of fighting and trying everything under the sun, obsessing, counting calories, or points or % of calories from Fat / Protein or Carbohydrate, number of glasses of water, running, lifting, stretching....I still was not dropping weight or sizes. None of which I have to do now. I eat a protein shake at rising and then get my VENTI Starbucks with heavy cream and splenda. (everyday). Sometimes even with an additional tall for the road cause it is going to be one of those days. I eat a lunch tray plate FULL of lettuce, broccoli, red onion, 2-3 hardboiled eggs, sunflower seeds, real bacon crumbles and ranch dressing. I get a scoop full of whatever additional veggie school is serving, and usually a muenster cheese and salami roll up, with a big cup of water. re heated for quick serve portions. I drink my Diet Snapple half and half, water or coffee. It is mindless. A GOOD habit established. I even ate some of the Halloween chocolate, Snickers and peanut M & M's without much fall back. I am still after the "last 10 lbs" to see if I can do it, and to reach an all time adult low number on the scale. I bought 2 new pairs of size 6 (!) pants that slide on, and even fit into, zipped up and buttoned the 4 ( holy *#%^), but thought they were a bit tight and that was taking it a little too far for the number. I am kicking in the exercise this fall now that we are settled into the single sport for the kids in the evenings, and doing some cardio ( jogging, elliptical or spin bike) and super slow / heavy lifting. Aiming for 2-3 days a week. They say a it takes 21 days to create a new habit. What new POSITIVE habit are you ready to work towards? Mentally and actually there is a shift in the pendulum as to the schedule, and therefore a new focus on the eating cycle to remain "on Program". Feeling fairly good about this summer and how I was able to maintain staying "on program. Lost a few more lbs, broke through another "decade" and continued forward on my journey. This accomplishment points out low carb really moving into a lifestyle choice rather than a "diet". I've hit the 2 year mark this weekend and have removed -70.2 lbs from my physique. That alone is lofty accomplishment. I was not perfect (progress, not perfection) and I did indulge occasionally, but that is in fact real life. I did not have huge gains due to the occasional treats so I took my own advise and moved on, fueling on good, nutritious, and low net carb foods. I enjoyed some new additions like zucchini, squash, garlic and tomato combo, or baking the ham for ongoing lunch meat and dinner prep. My sweet little one is a very interested future chef. I want to keep working with her in the kitchen and helping her create more healthy, low carb, heart healthy, and allergy free options for our family with multiple food issues. Moving back into the school year schedule, I will get back to lunch room salad fixings, less spare time and needing to do more prepping for during the week dinners for ALL involved. I want to start exercising more consistently and find an activity that motivates me to keep going back. What are your 3 back to school goals for yourself?
" Girlie it is time to retire those shorts". "What? !, they're some of my "skinny shorts"?!" "They're way too big and falling off you"
Realization.... I am still trying to wear things that were in my "too tight to fit" previous body, and are now hanging on me, but they were my littlest size. So, I have them on thinking "YEAH, I'm back in my skinny size" when actually I've slimmed down beyond them. It is amazing how that is hard to wrap your head around this phenomonon. SOooooo.... off to Value World I go! Value World is a resale shop, one step up from Goodwill, where I think they have done some of the label searching and pre screening for me. Do you know how many brand new, original store tags still attached, or favorite mid to late 00's GAP jeans that fit your shape just perfectly you can find if you search the racks at a Goodwill??? If you know you can wear a certain pant, or label, you can usually find it at these stores. Plus SOMETIMES they have a 50% off coupon and you can apply that to your $5 Talbot brand blazer jacket and get it for a mere $2.50. I mean it is like they are paying me to shop people! This is also an EXCELLENT way to update your wardrobe while in-between sizes, restyle yourself, while making outfits via PINTEREST and without spending a fortune. When my mom or sister comment or ask "Where did you get that?" I respond, "My Boutique", which is code for the Goodwill or Value World. I did accomplish a closet clean out of 2 full garbage bags which I gladly passing onto a fellow reader, low carb chica, and friend. It feels good to gift her these items as she is working through her journey and personally downsizing her body. It also lets me make an inventory list and determine what I need to replace or go our looking for new and fun things to add into the mix. I got 6-7 new (3-4 sizes smaller mind you) jackets or blazers , 5 sweaters (cardigan, v neck, jacket like and a cute argyle), 3 pencil skirts in Red, charcoal grey and a black and white houdstooth, and 3 lapis necklaces for layering all for $72.00 or around $3.78 per item. I lost more weight as of today and am at a new low. This continues to motivate me to stay on my journey, keep eating well and "clean" staying on program. I am feeling fit and feisty, so at this point, happy to be inching closer to my goal weight, but not obsessed with the end number. I have stayed "mostly" on plan this summer with more time with the kids, at the lake therefore not in charge of the food, so not as easy to maintain my routine. I have tried to plan ahead with cooking an entire ham on the weekend, slicing it all up, and bagging it to freeze and use during the week for lunches. I still do all the baked chicken pieces for dinner, and then we have leftovers the next day. I use a Sam's club roasted chicken for a dinner and then pull it apart for chicken salad that lasts a few days. Excited to keep up the journey moving forward and see if I can continue to maintain or lose a little more. Great minds think alike... and other AhhhHaaa moments while living low carb! We all know that phrase from "our OPRAH". It summarizes the experience of an internal light bulb going off and to your life change being made so vividly. In Better than Before she studies habits. How to rid out bad ones, how to create good ones, and summarizes personality types determining how we all process changes. It's a fascinating study, much like I found the pursuit of being happier by doing things that make you happy in the Happiness Project. Out of nowhere she writes about her finding a book that changed her life by Gary Taubes titled "Why We get Fat" and starts selling the low carb lifestyle sales pitch. She too found low carb living and it changed her mindset of eating along with her entire body! I was SO excited to read this, especially from her, and the title of a new download for another "bible" to reference from Taubes. I found it all a little ironic considering I read and re read her fist book and it had such a huge influence on me these last 2 years. Taubes take seems to be a more scientific explanation of how the body consumes and processes sugar or simple carbs, deals with insulin and stores extra as fat for later. She was the reason I "thought big" and started this blog! I didn't know until yesterday we had not only OCD list making, over analyzing, zest for progress not perfection, a sense of order, and a constant need for improvement in common. I found many low carb communities on my fit bit tracker site and have been reading, sharing and copying new ideas or recipes. I have several Facebook pages I "liked" that also provide me a connection with like minded people. The PaleoMom.com, Low carb crock pot cooking, Low Carb High Protein lifestyle. I love Tosca Reno's blog and No Sugar Challenge. She is a fitness model and competitor and at 55+, she rocks. Join the discussion! How long have you been low carb living? What recipes are your GO TO always in the fridge? Are you losing weight or trying to maintain? Write some comments, make a commitment and share your goals. You just have to find or create groups for yourself to support your goals, in this case the low carb living lifestyle, where you can be with GREAT MINDS that THINK ALIKE! How long will it take to see results from Low Carb lifestyle ? Readers have asked " EXACTLY How long did it take to get the # of lbs 's off? After talking specifically to one of my readers who is having great success in her own right while on the program, but had some very specific questions, I went to my FITBIT tracker and found the chart that it keeps for my weight loss. I forgot the process! The feeling of desperation and need for instantaneous success. How I wanted all 75# gone, like yesterday. I had to really think through the time frame, and the ebb and flow of the actual dropped pounds determining my success. I am still striving for the last 12#'s to remove themselves from my body to make my "goal" weight. Can I get there? I really do not know. I weigh myself every morning and then plug in the number WHEN IT GOES DOWN. This does not show the occasional gain then loss again that did occur throughout this journey. I enter it into the tracker over time as I reach a new "low" and celebrate. If you've read the first posts from this blog, I REPEAT: I JUST FELT BETTER almost immediately while eating low carb and high protein. Click here to check out the immediate first 2-3 weeks, results and then first few months, and how fast things happened. I was getting constant feedback through random compliments, someone noticing changes happening, clothes loosening, or the general pep in my step that kept me continuing on eating on program and staying IN THE PINK. This is the FITBIT tracker line graph of my constant and continual weight loss. It has taken 22 months to lose and maintain the 68.5 pound weight loss, which averages out to 3.11 lb per month. and only lost 3.11 lbs per month, I would have quit for sure. No doubt about that. Did that for years. I totally focused on staying on program, staying IN THE PINK proving I was on program, and knocking out "decades, or getting down the next 10 lbs. At first, I wanted to get into "One-der land" or back into the 100's. Then there would be a hold. Loosen up the reins a bit, not be as strict, life getting in the way, or being unorganized, or just my body not letting go of the weight quite yet, but I was able to maintain. That alone was an improvement and accomplishment. Plus, clothes were still loosening. Seriously, (!) between birthing 2 babies, being 45 years old, and all the weight training I have done throughout those 25+ years, I have added muscle to my frame for sure and life has added weight to my body. I've earned it. I believe the Low carb eating burns fat off the body, and although we have all heard the saying "muscle weighs more than fat"... the truth and more important fact is, "muscle takes up less space than fat". I am at the point where I can say it is more important to me that I get down into and maintain a small, single digit size of pants / jeans / dress, that in order for me to be in, I know I am at a smaller (personally considered "tiny") frame than I have been most of my life. I want to be fit, with tone and tight muscles, and then stay that way. That is now a bigger pay off and achieved goal than the actual number on the scale. "Is this one step closer to, or one step further from my goal?" "A goal without a method is useless"
"Once you make the decision, the choice is easy"
These are post it note quotes that are on my desk shelf right in front of my face to remind me... everyday. They help motivate me to continue on in my journey and aim for my GOAL WEIGHT number. Once you make the decision, the choice is easy. That is a good one. I have discussed this many times with a fellow follower. I do not know WHAT it was THIS TIME that actually made my mind up, but I decided, I think, out of desperation, of no longer wanting to be as big as I was, and really miserable with myself. I was still not at a place where I was willing to accept that "this was it, and the way mid 40's was, and to give up". I made the decision I was going to eat low carb, the science behind the Adkins and low carb KETOSIS would work for me too, and I just had to keep myself on the plan. "A goal without a method is useless." This is a direct quote from my Oprah. It is such a good quote. Do not bother to set a goal if you have no intentions and nothing to back up actually getting yourself there. "Is this taking one step closer to, or one step further from my goal" I believe this to be from Zig Ziglar, the famous motivational speaker they played every day throughout my Middle School after the pledge of allegiance. I think about this quote when I am tempted to eat something FAR off plan. I usually take a moment to smell the sweet, sugary cake / cookie / item, truly enjoy the smell, and then pass. That is a big change from my previous mentality "oh this one bite (insert food / drink here) won't hurt. " or being worried about hurting the hostesses feelings by passing on their dessert. So... I continue to stay on plan, and eat and enjoy all my low carb options. How are YOU doing with your journey??? Low Carb vs Paleo... What is the difference? Low carb, LCHF, Paleo, ... these are all "diets" or ways of eating that are popular discussion and trendy these days. As a society we are consuming POUNDS AND POUNDS of sugar, and sometimes without even realizing it as food manufacturers add it to everything! Low Carb is as described though out this blog, maintains a low glycemic index for a blood sugar level and keeping the intake around 25g to lose weight or 50g to maintain weight. Adkins Diet is the main diet I have followed for close to 2 years. I tend to focus on fish, chicken, pork and some red meat like steak. I *think* I am being fairly considerate of a lean protein approach. I easily consume 2-4 cups of vegetables, mainly green and leafy like salad broccoli, iced veggies, asparagus or the like. Adkins had some naysayers throughout the years touting that eating all the eggs and bacon in the bacon grease could not be healthy for you. Common sense would point to you have to agree with this. BUT... the idea of FAT being a "bad" thing is a good note to take. Fat helps satiate you and keep you full longer and it takes longer to burn. LCHF LCHF ( Low Carb High Fat) . It is basically Low Carb, adding minimum carb ( even the green and leafy's) without paying any attention to the leanness of the protein intake. It gets the idea through that FAT is not a "bad" thing. Paleo, is the idea of a caveman approach to eating. It too is low carb, but allows fruit, does NOT allow dairy, or any sugar or sweeteners. I love The Paleo Mom as a reference. I also love the PRIMAL BLUEPRINT as and example of the long term Paleo approach and manageable lifetime eating style. It shows anything under 100g of carb a day is a "low carb" and weight management / fat burning way of eating. I was introduced to the Primal Blue Print when I joined a "gym" where you do a heavy lifting weight session, for 20 minutes maxing out the heaviest you can lift, and your reps being timed at 10 count for lift AND 10 count for lower. It was brutal, but over in 20 minutes. GREAT way to kick start a routine with minimum time commitment but big results. For both Paleo and Primal Blueprint, think if you were a caveman, you could go out hunting and gathering for fruit, berries, nuts, protein, but not create flour, sugar or the processed stuff. Paleo also points to walking regulaury, getting sun 10 minutes a day, sprinting for small bouts and lifting heavy objects regularly is part of the Paleo lifestyle. It is very popular with the Cross Fit craze for leaning out athletes and providing muscle growth and fuel. Whatever Low Carb approach you choose to best fit your lifestyle, you WILL see results! Keep moving forward, progress over perfection. Why I started my blog, Fitchicafitness, and motivation to keep moving forward with Low Carb Living. I literally have friends all over the world as I am associated with an amazing International School that allows me to meet amazing people, explore different cultures, languages, and learn first hand. As I ended up rooted in my own midwest hometown, I still have friends that I grew up with since pre school too! My friends are geniuses in their own right and on many different levels and I get to l have some of their brilliance rub off on me and learn from them. One of which is a writer, blogger and expert in International Adoption. Recently, she asked me "Why are you writing your blog? What is the purpose? It set me back a little as I needed to define it for myself! 1) I was, and still am, being asked regularly "What have you been doing?" to accomplish my weight loss. As I am a constant list maker, I had all my notes, stats, food diaries, weigh-ins and such, so I thought I could easily write them all down and be able to better "share" my experience. I could help others on this journey, create a community, and that made me happy. 2) Also, as a Journalism / PR major, I really enjoy writing the posts and it challenges me to improve my voice, have a purpose in the article, and break down the how, what, when and where of Low Carb living, and tell a story. 3) I grew up with an IBM'er system's engineer dad so we had a PC and my mom had an Apple 2E+ in our home in the early 80's. I have always enjoyed "geeking out"with technology and this gives me motivation and a reason to expand my knowledge hands on regarding the behind the scenes of blogging, linking to social media, and expanding my reach with online promotion and PR. 4) In Gretchen Rubins book I refer to a lot, The Happiness Project, she insisted early in the introduction to "THINK BIG". My nature is to think big, and then talk myself right out of how that is a little too big, will never happen, and to "get real". This time, after reading the book on the beach, twice, I decided to go for it and see what happened. Worst case, I would create a personal chronicle for my own reflection that no one else would read. 5) Maintenance of weight loss is the biggest challenge yet. According to WOMEN"S HEALTH, " By some estimates, more that 80 percent of people who have lost weight will regain all of it, or more, after two years." EEEEEEEeeeeek! I have wanted this TOOOOoooo LOOooong and worked TOOOOOooo hard these last 2 years to gain the weight back. I think the best and most honest answer to "What is the purpose of this blog", is to be really OUT THERE, Absolute and Authentic, Truthful and Open to what I am doing, acknowledging and celebrating how far I've come, and how I am still on the journey with Low Carb Living. Ultimately, blogging will help me with maintaining my weight loss. Maybe, I can motivate others and make even more new friends along the way. How do you count your carbohydrate consumption and remain at 25 net carbs or below to be "In the Pink" and stay in ketosis - a fat burning state? This is an example of a nutrition label found on most food items. For the item above, you can have 1/2 cup, and there are 26 carbs. Now, look at the label below. This is for raw broccoli. You get 1 cup of broccoli (serving size) for 6.04 g carb. That is great, but it gets even better! So take 6.04g carbohydrate- 2.37g fiber = 3.67g total NET CARB toward your 25 g for the day. Have 2 cups of broccoli, steamed, with butter, and garlic and enjoy! Staying "In the Pink" and other basic Ketosis information and how to burn the fat off your body through Low Carb Living. It is the best feeling when you are starting out on this program. "Yahoo ! Im in the PINK!" Usually within the first 24 - 48 hours of dropping the carb to <25 g net carb. If you purchased the Ketosis strips, each time you urinate, you use these strips to detect if ketones are being eliminated from your body. 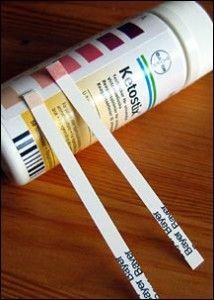 If ketones are detected in the elimination, the test strips will show a light (trace) to dark pink. That is additional confirmation you are keeping your carb intake low and therefore burning body fat! Even if the scale is not budging and even more reason to take your measurements NOW! You will see changes! Let's break this down into easy to understand science terms. Your body is a machine. You fuel it with food and water. If you can manage your fuel to be high efficiency fuel by consuming good lean protein, nuts, and green leafy veggies (complex carbohydrates), you will get the best mileage out of your machine. When doing basic daily tasks, burning the calories it takes to get up in the AM and move throughout your day, if your carbs are kept at a minimum, your "machine" turns to the stored fat stored in your body for fuel. If you gas up with cereal (simple carbohydrates/ sugar), skim milk (sugar), a latte or cappuccino, bread, bagels or muffins (sugar), your body has to burn off those calories first before it runs out of the simple carbs to burn fat. The REAL bummer, is if you are taking in more calories than you can burn, your body STORES the extra sugar and calories as body fat to use for later. The reality is, if you eat like described above for breakfast, you're likely to eat a lunch with more bread, hidden sugars, a soda drink or sweet tea, and the cycle goes on and on along with the storing of more and more body fat ! When you start this program, the first few days can be rough getting through the cravings, or over the habit of grabbing the "thing" that pulls your blood sugar up fast. Keep this process going and soon, you too will be "In the PINK" and burning fat off your body! Go to the tab and buy your testing strips! Ready, set, GO FOR IT! The Day to Day of Low Carb living and staying "on plan" ! I've had some amazing responses recently with readers wanting to join the journey of Low Carb Living. I am so happy to be helpful and open to anyone starting out and interested in the how, what, and when of what I've done and am continuing to do to maintain this weight and low carb lifestyle. You too can get on program, eat yummy great food, and feel great! If you have specific questions, be sure to ask them on the COMMENTS section, I will be sure to respond, plus I am sure others are wondering the same thing! So... what do I eat, exactly. Pure Protien Shake with water and 4 ice cubes. Hardboiled egg, Sunflower seeds and Ranch dressing. They were serving pasta at school today so I just got a scoop of the red meat sauce (no pasta) and a glass of H20. Pretty good stuff, huh!? This is nutritious, satisfying and ample food options to stay full. Sometimes, if need a mid day snack, I might have a handful of almonds, a mozzarella cheese stick, or more raw veggies. Farther into the process, I added a bag of Skinny Pop which is filling and about 6 net carbs. Also, you might think you are "hungry" but you are actually thirsty, so always have a glass of H20 handy. What are some of your favorite go to Low Carb meals and snacks? 16, 14, 12, 10, 8, 6.... Reality check during a shopping spree and 22 months of Low Carb Living. I have been beyond happy now fitting into my smallest clothes again. But lately, even some of my things with stretch have been fitting loosely. I have been blissfully ignorant and happy I can fit back into everything. : ) Using Pinterest to work my wardrobe and stay stylish with the change of season. So a good friend alerted me my smaller stuff was getting baggy and I needed to go try on some new clothes. We hit Target and Macy's this AM, and I was totally overwhelmed to slide on, zip up and literally be in a size 6. I mean SPEECHLESS. I walked onto my college campus this size, (interestingly enough, not his number for weight) and I am not sure I have been there (or at least very long) during my entire adulthood. Like the swimsuit expedition earlier during Spring Break, something in your head still see's yourself at the same size, or convinces you that there has not been as big a change a there obviously has been. Good job me. WOW. you totally did/ are doing it ! I did not end up buying anything new I tried on today. Figured we are headed into summer with more casual needs and lots of outdoor activities. Need to rid out, get organized and determine what I actually NEED to replace what I will be donating. Be strategic and invest in items I need and will continue to add to my new sassy style. Plus, I immediately started thinking about how I need to tone up, lose a little more, tighten up, keep improving. How to stay "on plan" during a Holiday Weekend! Whoo - hoo ! Race Day weekend! That is what we call it 'round these parts. In Indiana, the home of the Greatest Spectacle in Racing- The Indianapolis 500, officially it is Memorial weekend, but trumped by the phrase "Race Weekend". Traditionally, that means food, fun, fellowship and drink with the opening kick off of summer at the family lake house all while tuned into the radio and an amazing 99 year tradition of speed around a 2.5 mile cycle in the heart of Indianapolis! It is SO easy to fall off track with all sorts of influences, favorite items, or the hectic chaos involved in a 40 person gathering. Going into the weekend, I knew I needed a plan, and the mantra "Progress not Perfection". I prepared with pitch in items that would work for me. The traditional 24 hour salad, (which will be added to the recipe page pronto) my go to: Asian Slaw, I had makings for the three cheese dip (others brought something similar so much we didn't need it) and I had leftover Sirloin steak, a tub of turkey meat, and chicken breasts ready for my own consumption. In the am, had more time and actually fixed breakfast and enjoyed a fried egg, soft yolk for breakfast. I did indulge with a few chocolate chip cookies, some blue corn chips to go with my sisters mango and avocado salsa (yum! ), and 2 mini sandwich bread for the seafood mixture and cucumber creation appetizer from a family friend. I was "challenged" in a Fitbit "Weekend Warrior" sometime Saturday for number of steps again, so between all the boat cleaning, party set up, and regular up and down the hill lake life, in addition to having my sister take me out for a run / walk, I managed to get in 12,790 on Saturday and another 19,000 steps on Sunday for a total of 31,831. Upon return to home yesterday, I was down a few digits on the scale, and feeling motivated again to keep the number decreasing, as previously stated, through fine tuned low carb living, more intentional movement, and lifting weights. I want to lose another 10-15 lbs. I think it is doable prior to beginning of September. Bring on the Sunshine of Summer! All things swimsuits, shorts, grilling and outside activities! This spring, I have been good about getting in more steps, deliberate exercise, better sleep. I have not been as strict on the diet since returning from vacation and whittling back down to my "lowest so far". Little munches of this and that, here and there. My weight is holding steady, but I am not losing or creeping closer to my "goal weight". I need to do the dynamic duo of EATING CLEAN and LOW CARB and upping the exercise intensity. I have a new measurements from over the weekend recorded below. Still smaller than I was in March, which is encouraging and good. Lost a total of -45.5 inches off my body in 22 months. That is really great and I am proud with what I have accomplished. 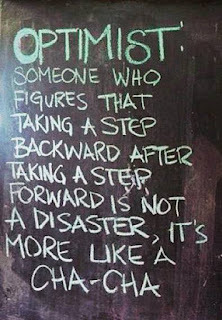 It is a reminder to keep pushing forward and prepare for a fun summer where I will reach my goal! Are you taking a step closer to or one step away from your goal? How Low Carb living has lifted my Spirit and lightened my load ! Yesterday I spent the day with a group of ladies at a retreat. https://www.facebook.com/SoulSpaSisterhood?fref=ts, meant to give hard working over scheduled, busy mom's, wives, and sisters time to reflect, meditate, and embrace God. My little sister is the Soul Sister of the Soul Spa Sisterhood, so I wanted to attend to support her and celebrate her event and brain child . I invited a BFF colleague of mine, who is actually Jewish, and she agreed to attend. Cool, I had a "buddie". They also served an awesome tomato bisque and Cobb salad, so I was totally game. When I arrived, there were other "surprise attendees" and our table assignment - "LOVELY" was more like LIVELY. We had a great day. We were given sketch books, options from a selection of craft paper, glue sticks, ribbons, colored pencils and craft scissors with the assignment to "Create your Journal." I had such a great time selecting the colors of my paper and combinations. Colorful paisley with matching stripes, a hot pink zebra pattern and I was off. I glued the edges, mitered the corners to have perfect folded edges. It is totally Pinterest worthy if not Martha Stewart worthy. UGH! I beautiful new journal and book, but in the back of my mind, I know I will leave it empty as nothing will be worthy enough to go IN it. This reminded me of the chapter in Gretchen Rubin's The Happiness Project about "Spending Out". Use things up. Do not save the party napkins, or stationary for a better time, use it up now. Do the projects I invested in, knit the projects for which I have and abundance of yarn and so on. We took lots of photos with each other and for the first time in a LONG time, I was part of the picture, not hiding behind the group. I actually felt pretty, in a jersey knit clingy dress mind you. I realize how far I have come from being numb. Ridding myself of the extra weight by sticking to the low carb lifestyle that is working for me, has lifted my spirit! It's made me willing to step outside of my comfort zone to try new things, like this retreat, and REALLY enjoy myself in the process! 22 months now of eating on program. 2 months of getting back into the groove of exercising and training my body. 5 years after the death of my BELOVED and very best cherished friend a dear darling dumpling Grandmother and pulling myself out of a "slump"or for that matter full on depression. It has been a long hard road and there are still bumps along the way and unfortunately bound to be more in the future. Much like my new journal, I love the Natasha Bendingfield song, "Unwritten". When it comes on the radio, I always crank it up and sing along. It seem s especially appropriate now. Another dear one and sorority sister enlightened me with a phrase from the book and recent movie WILD. In essence it says if you don't like the way things are going or what the little voice in your head keeps saying, "just rewrite the story". How Sunday Dinner has turned into an everyday occurrence, and other reasons to go Low Carb ! A dear friend and I were discussing the Low Carb lifestyle and need to limit ourselves to specific foods, or amounts of sugar, coffee drinks, or treats. She said, "You know, when I was growing up, we used to have a Sunday dinner with a nice meal, meat, potato, rolls, veg and a dessert. It was once a week. It was a coming together of family in celebration and included a dessert. It was one of my favorite days. But as a society, we have allowed ourselves to have a "Sunday dinner" every day!" This hit me between the eyes! That is such a true statement!!! We have a big meal, or meal on the run, and all the extra's like potatoes, with a dessert way too often, which turns into a habit, and then becomes a regular routine or lifestyle, which makes for overindulgence ! By limiting my sugar intake, therefore practically eliminating desserts as an option, I have given up the daily Sunday dinners. THAT choice has become a lifestyle, a positive habit! When I do splurge, it is on occasion, it is specific, and it is truly a treat. I can honestly say I do not miss the things I used to crave or think I could not live without. Now, call me crazy, but I would prefer a cold fountain coke over ice to a glass of wine most the time. I love me a chewy chocolate chip cookie. (yumm) I would even call them "trigger foods" as once you start, you can't step away or they make you want more of them. The best thing about this Low Carb Lifestyle is I no longer CRAVE these items and I can actually count on one hand how often I have had them in the last year or two. I really enjoy my Pure protein shake with extra ice cubes blended, which can be like ice cream or a shake, I found Aunt Eddie's slow churn, no sugar added (which makes it low carb) mint chocolate chip ice-cream which is a yummy occasional treat. Skinny pop popcorn works, or salted or roasted almonds for the salt or crunch crave. If I choose to eat them, I enjoy every bite or gulp and then move on and back into my program. What are your "trigger" foods? What are your low carb snack or treat substitutes? I have been moving deliberately more and adding weight training into the mix at least 2-3 times a week for the last 2 weeks. This is an accomplishment. Mentally, I tell myself "it's not enough". But,(!) Dang it, it is more than it was, and it is a positive choice. *note to self, why do I always err on the side of negative talk to myself? Truth be told, it is more getting the workout gear, shoes, organized and together and in the car to prepare for the time I could do the extra movement. I need to prioritize that for me. I do it for the kids. *note to self... work on that. So, I have been either walking outside 2-3 miles briskly and then adding a nice weight routine with double sets on lower body into the mix, or on an elliptical if the weather is not up to par. We are heading into the end of the school, better weather and soon summer chaos full of activity. It is the beginning of a new schedule, food prep for all, and more time that can be dedicated to deliberate movement. My plan is to really kick it in and use my time as wisely as possible throughout the summer months and get in even better shape and tone while shredding the last 10 # to goal. In reflection of these last 20 months, one idea that really helped kick start the process of my journey and evolution, was the "restyling" and self image makeover I did. Something that is so frustrating when you are heavier is none of your clothes fit and you really don't want to spend money on clothes at the larger size you currently are and do not want to stay. I had a closet of clothes in multiple different sizes and a LOT of basics, t shirts, long sleeve shirts, button down shirts, skirts, pants. I was tired of the "uniform" I was wearing day in and day out, and not feeling like I looked very pulled together. I've always liked dressing well, but had lost my je ne sais quoi. I decided to clean out my closets and discovered it was NOT that I didn't have an abundance of clothes, I just was not putting the combinations together as well. I created a board on Pinterest.com, and started pinning any of the "Women's Fashion" I thought looked cute. I think the tendency is to pick things that already have your flair, or might make you reach a little outside your usual, but in general, you pick things that would trend well for you. This was not only a lot of fun, but really made me start "shopping" my own closet to create the outfits I had pinned. If I thought the combo's on Pinterest were stylish, they would be no matter the size body they were on. Almost immediately, I just FELT better, started getting compliments on looking nice, or pulled together, and felt that I was putting a better version of myself out into the universe. It also created a fun "TO PURCHASE" shopping list of items I wanted to add into the mix to finish out my cute potential outfits! It kept me from buying yet another black or white t shirt, and to look and hunt for that color, pattern, belt, neckline, chuck taylors, or other accessory that would let me make a new outfit with the other things I had. When I find pants that fit, I tend to buy one in every color, so I had a black, navy, light grey, kahki and carmel pair of pants I splurged on early in the beginning. This initially gave me many additional options away from the black pant I was very, V*E*R*Y, tired of sporting all the time. I had those "uniform" pants taken in at some point too. Finally a dear friend told me, "they are really too big and baggy on you. You need to get new SMALLER pants." : ) As I got a little smaller, I even got bright red, bright blue, and patterned pants that I would never have looked at before. I actually need to find the caramel and light grey alternative again as those colors added many options and mixed it up. I truly believe looking back on this element of the journey, it was a real turning point and helped propel me forward to feeling better and wanting to keep going to fit into the next smaller size I had in the closet. Another good tool was a visualizer like modelmydiet.com where you can enter your height, weight, body shape, hair color and hair style and then add your goal weight and it will show the two side by side to visualize yourself at that smaller size. Very insightful. "Dress for Success" all seem to ring true. How adding weight training to the Low Carb eating is going to sculpt a new and improved body ! I did 1.5 miles on the elliptical and a nice weight training session yesterday. repeated the leg press and quad lift again. It was a good workout and a good start. On the leg press and quad lift, I do a super slow approach. Lift to the count of 10, squeeze, and then resist the weight back down for a count of 10. Aiming for 10-12 reps, aim for a 2 + minute set of the super slow version. The thought is that it created muscle confusion, you do not have to train as often, and provides faster results. After the age of 35, we lose lean muscle mass. By training with weights, you can add lean muscle mass back to your body, add tone to your muscles and body and your body will burn more calories even at rest. Sounds pretty good, right!? Muscle weighs more than fat, but takes up much less space. So if the scale won't go down any further, but I can get into smaller sized jeans, look tight, toned, and muscular, I am ok with that. If I can continue the positive eating habits I have created by fueling myself with good, healthy and real food, AND add a regular, challenging and weight bearing / lifting sessions into the mix, with some cardio sessions, I think I will make "goal weight" and possibly feel really good about it for the first time in a while. "Its not the destination, but the journey"